If you’re someone who likes to have some home products for carpet cleaning at hand, you probably own some sort of spot removal cleaner. With these products, it’s easy to quickly run to the cabinet or shelf where they’re stored, and get working on that spill in your carpet. These products are affordable and seem to work well against the stains that have found their way into your floor. However, these spot cleaners may not always have a good effect for the future of your carpet. 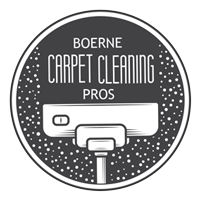 Certain spot cleaners may only be equipped certain types of stains, and even then, they may not always fully remove that soda stain or wine spill. While spot cleaners do a great job of being relatively cheap and do a decent job, they aren’t always the better option for certain situations. One spot cleaner in particular that has had some mixed opinions is Resolve. While Resolve claims to be the best for all sorts of common stains, it hasn’t shown us these capabilities. Our opinion is to avoid Resolve completely. Stain removers such as these have been proven to leave a discoloring in carpets and don’t always remove the stains completely. While they claim to have a multi-layered cleaning solution in them, that isn’t always the case. Stain removal on upholstery can be a very daunting task. The thick layers of fabric can be very tricky when attempting to clean it with commercial products. Certain things in your fabrics such as juices can be a simple clean, but things such as wine and rich colored sodas can be much more difficult to remove, and may require some professional assistance in order to remove them completely without harming your upholstery. When dealing with carpet stains, knowing your fabrics is very important. 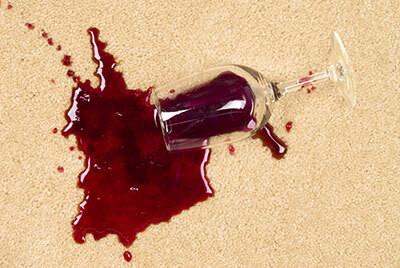 Some tips for carpet stain and spot removal are as simple as natural solutions for your issue. When you have natural fibers in your carpet, find some vinegar and water and soak the area with a mixture of the two. The best mixture we have found is one or two tablespoons mixed into one glass of water. And after you soak your stains in this mixture, be sure to have something in hand to get rid of the vinegars smells. Other options include milk or lemon juice. As stated before, knowing your fabrics and how they react to these natural solutions is very important, so be sure to understand what the effects will be. The last step to your cleaning process, whether it be a natural or commercial product, is to never scrub the stain. 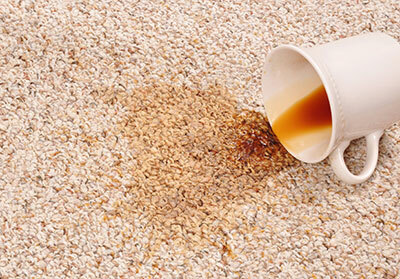 Scrubbing the stain will only spread it to other parts of your carpet, as well as roughening the area. Whenever you’re cleaning up the products, be sure to gently clean it with a cloth in several steps, in order to dry out the moisture as well as not harming your carpet. After drying with a cloth and removing the coloring from your carpet, leaving it to dry is the last step. And if you’re going to use sunlight in order to dry your fabrics, be sure to know what the sun’s rays can do to it. You wouldn’t want the last step to leave a permanent mark that reminds you of that terrible stain you once had.